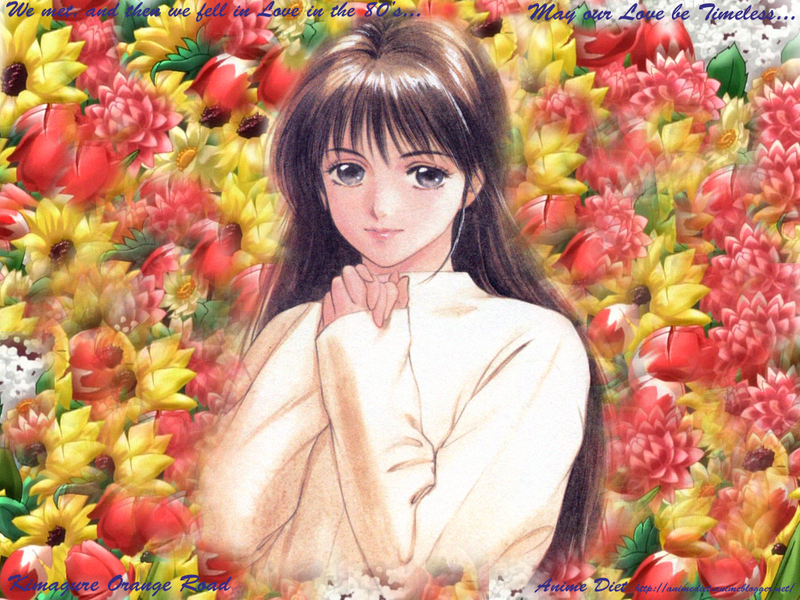 Wallpaper featuring Madoka from Kimagure Orange Road. Like I said, I’m just not good at these sort of things. But anyway, see below. You know the usual sizes. Previous PostAn Appleseed online game.Next PostNew release format for Utawaremono. It’s not very good though, I hope you enjoyed it anyway. Thanks so much for this! I just got back into Kimagure Orange Road. KOR is the story of youth, and the best time of our lives.